This itinerary covered our first visit to Maui (and the Hawaiian Islands in general). 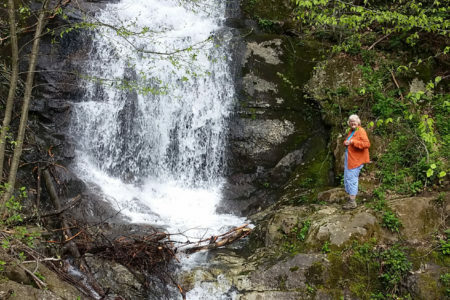 It was kind of a spontaneous trip where Julie apparently took advantage of some travel deal that included car rental, all accommodations, and airfare. 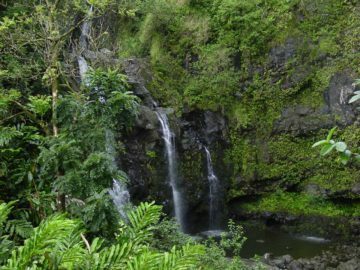 Since we were travel newbies at the time, it was a pretty suitable late Summer trip, and it turned out to be a great and relaxing time to experience the island of Maui. 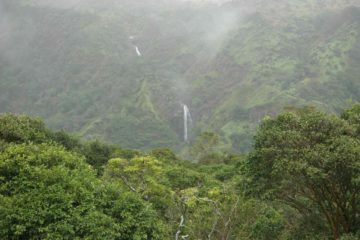 In fact, the memories of this trip stimulated discussion of future trips to the Hawaiian Islands. We don’t know when that’s going to happen, but we’re definitely on the lookout to explore the remaining islands. 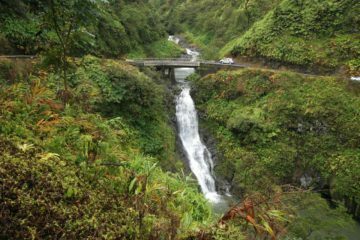 Road to Hana Waterfalls – In my mind, you haven’t seen Maui until you’ve experienced its windward side along the famed Road to Hana. 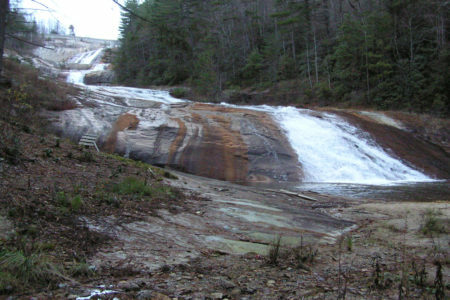 It’s here that your waterfall saturation limit will be tested because you’re likely to see one waterfall after another as it goes across bridges over its hundreds of tight curves on the lusher and wetter side of the island. 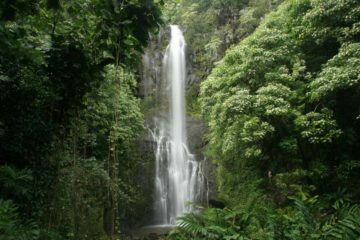 It’s practically a must for anyone visiting Maui, and we immediately saw why I’d argue it’s the top thing to do here. 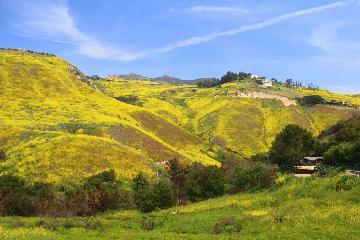 But to truly get the most of it all, it will require and early start and some degree of planning. 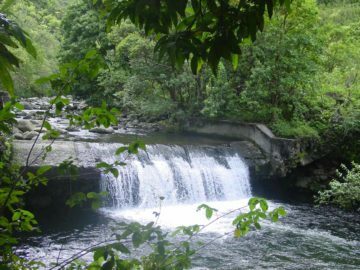 Hana Highway beyond the windward side – This drive was motivated by the Road to Hana, which obviously featured countless waterfalls (mostly of the ephemeral type though). 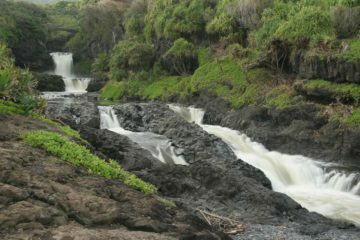 However, we actually kept going past the Kipahulu District of Haleakala and saw a drier and more volcanic side of the island as the road became unpaved. 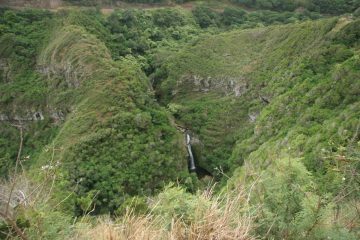 That was where we saw old lavaflows, another surprise waterfall in Alelele Falls, and even the Pokowai Sea Arch. 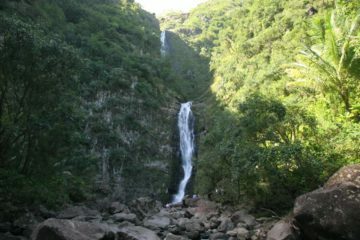 Waimoku Falls and the Pipiwai Trail – The hike to get to this waterfall was our favorite in all the Hawaiian Islands. 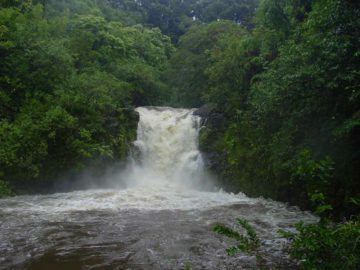 It not only featured other waterfalls like Makahiku Falls, but it also had a bamboo forest as well as bridges perched above more waterfalls. 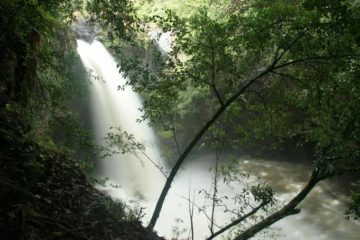 Then, it culminates in this 400ft waterfall, which is like the perfect ending to this jungle adventure. 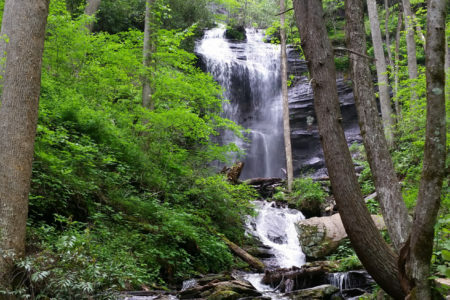 When Julie and I first came here, someone once told me as she was leaving this place that it was like a spiritual experience. And I can totally see why. 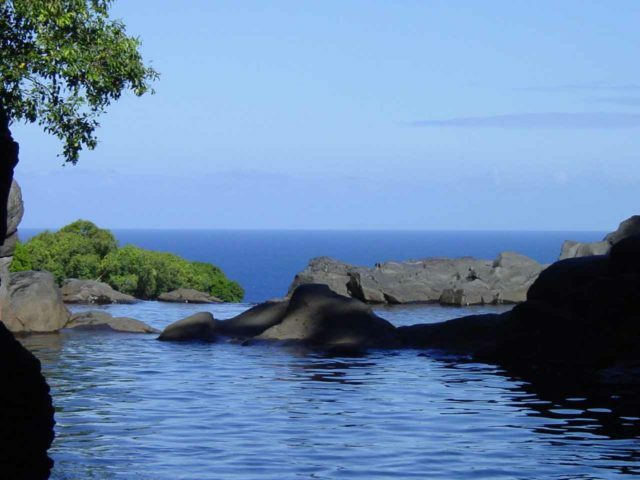 Pools of ‘Ohe’o – This was the part that was once referred to as the “Seven Sacred Pools”, but this is its more formal name. And when the weather cooperates, you do get that idyllic spot full of sunbathers and people taking a dip to cool off. 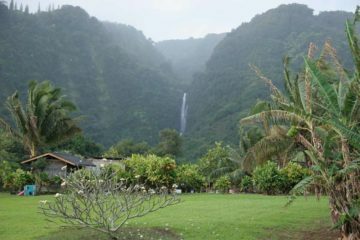 It’s that quintessential play-at-a-waterfall scene that just about everyone seeks when they go to Hawaii, and in my mind, that place is right here. 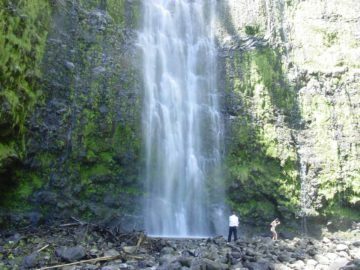 Haleakala Sunrise and the Sliding Sands Trail – Although this might be one of the most overhyped things to do on Maui, depending on how many sunrises you’ve seen, it could live up to the hype or be a huge disappointment. In fact, Julie and I attempted to catch the sunrise three times on this trip, and it wasn’t until that third try that we were finally successful. So to her, she hated this. She hated the early wake-ups and she hated the freezing cold weather (it’s near or below freezing up at over 10,000 feet). However, regardless of whether the sunrise is good or not, it’s what you can do with the early start afterwards that’s the real reward. So once the sunrise is over, some people do bike rides down the road. We did the Sliding Sands Trail to get closer to the volcanic moonscape. 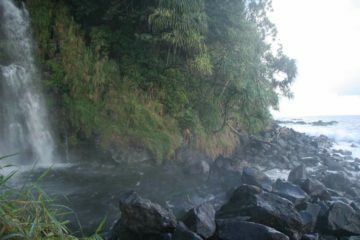 And also, you can go down to the Road to Hana to get an early start to the day. 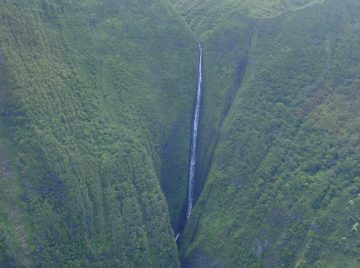 Honokohau Falls and the West Maui / Molokai Helicopter Tour – This was our first go at doing a helicopter ride in the Hawaiian Islands, and it turned out that we got to see quite a bit of the inaccessible interior of West Maui as well as the inaccessible parts of Molokai. 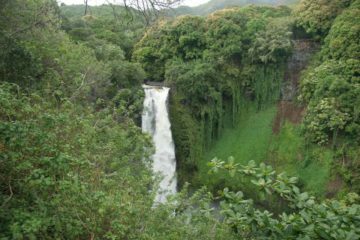 In addition to lucking out seeing the Honokohau Falls, we also saw the waterfalls of the Halawa Valley (like Moa’ula Falls) as well as Papalaua Falls. 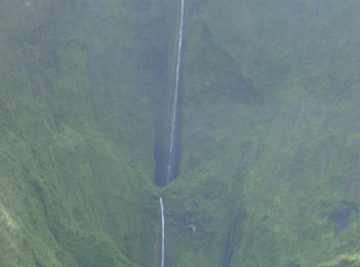 Driving around West Maui – This was surprisingly one of the more adventurous things we did whilst self-driving around Maui. 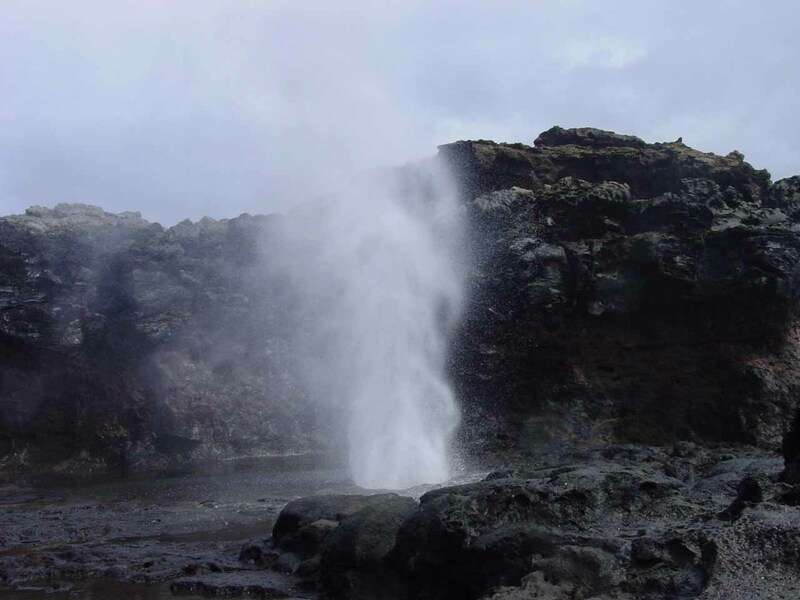 The rewards of doing this drive were experiencing the impressive Nakalele Blowhole, the Dragon’s Teeth, and seeing the Kahakuloa Head as well as the so-called Olivine Pools. 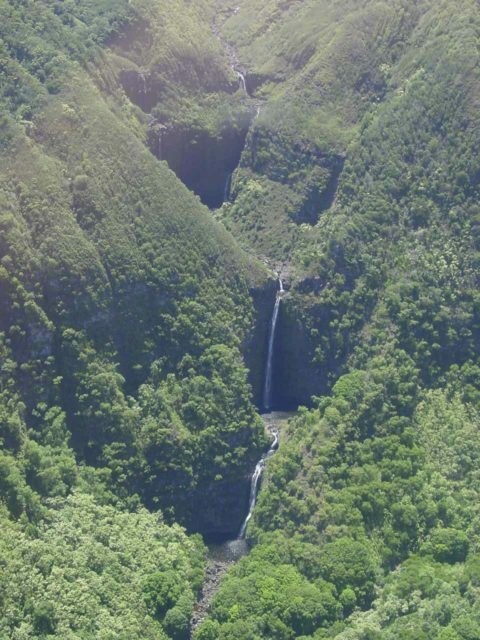 On the more developed side, we also saw waterfalls in the Waihe’e Valley like Makamaka’ole Falls and Ali’ele Falls. 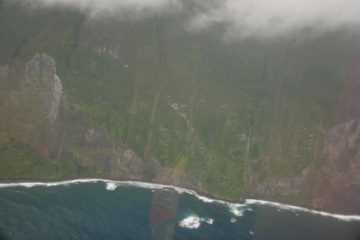 However, this drive was an adventure because there’s a stretch of very narrow unpaved single-lane road that hugs cliffs. 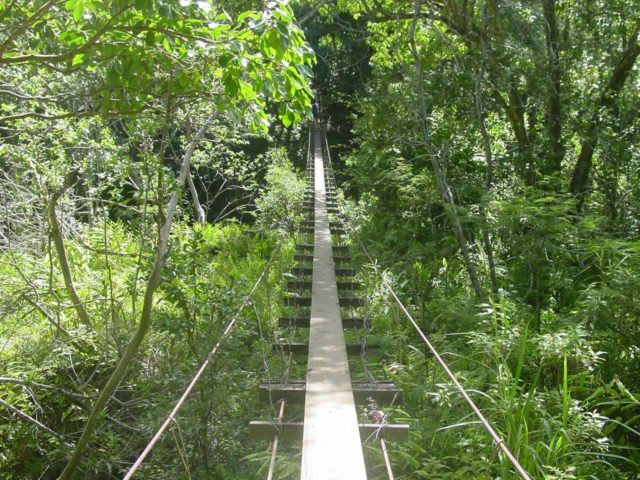 If you have a car going the other way, it can be very tricky and scary to figure out how to squeeze by each other. 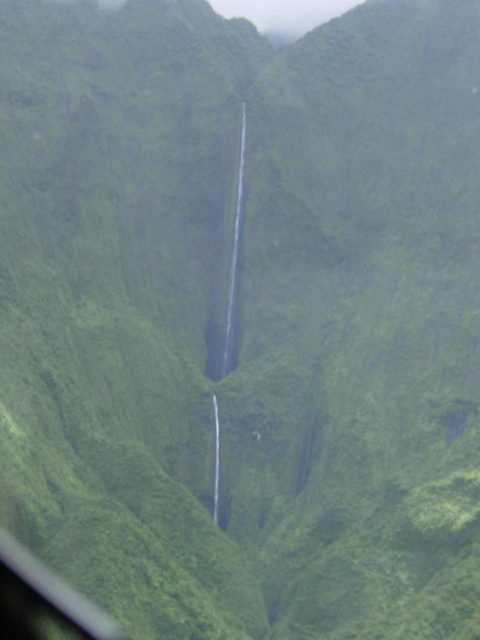 This was a travel day where we flew to the airport in Kahului. Then, we picked up the rental car and drove into ‘Iao Valley to see the ‘Iao Needle. Afterwards, we then swung around the southern part of West Maui before arriving in Lahaina to settle in. We started off with a very early wakeup and drive up to the Haleakala Summit. But when we realized there would be no sunrise due to bad weather, we promptly went down to the Road to Hana and drove all the way around East Maui. 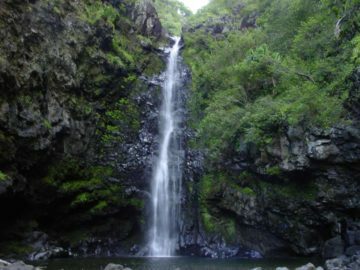 Among the stops that we made were Lower Puohokamoa Falls, Upper Puohokamoa Falls, Waikani Falls, Upper Waikani Falls, Wailua Falls, and many other temporary waterfalls. 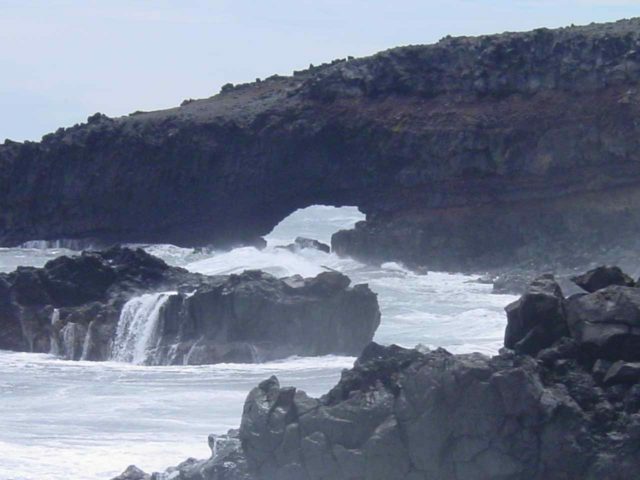 We also stopped for the Pokowai Sea Arch on the drier part of this drive. 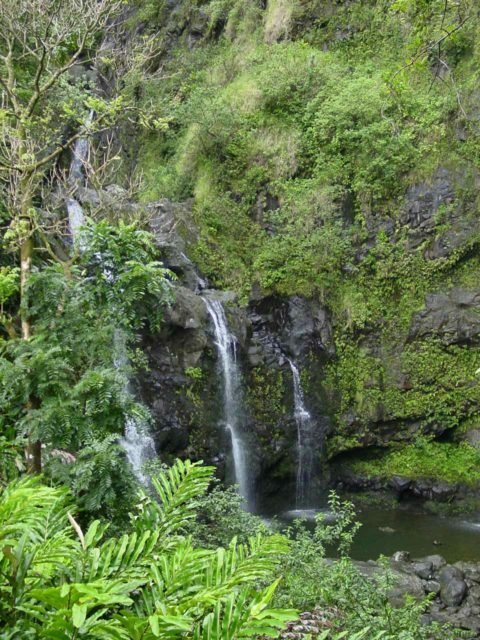 Looking for a change of scenery, we opted to do the drive around West Maui in a clockwise manner. 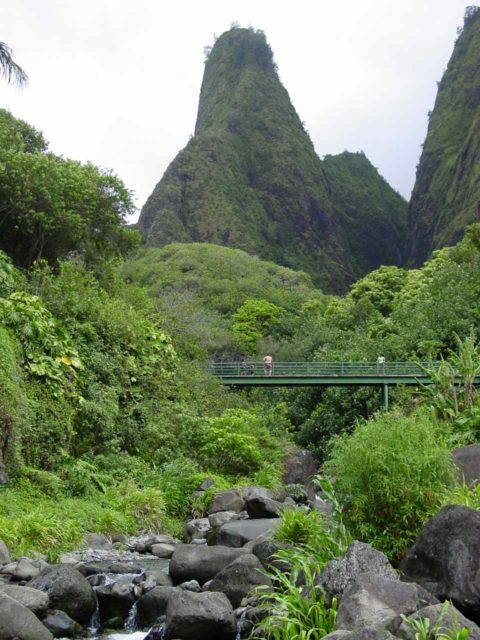 Along the way, we visited the Dragon’s Teeth, the Nakalele Blowhole, what we think is the Olivine Pools, Kahakuloa (a sleepy fishing village with scary one-lane cliff roads to get there), Lower Makamaka’ole Falls, Makamaka’ole Falls, Mana-nole Falls, and Ali’ele Falls. 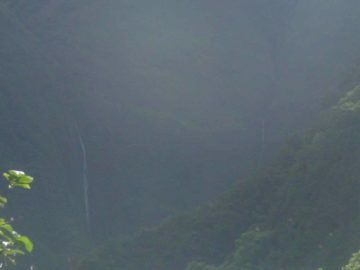 Note that the last two waterfalls were seen from the Waihe’e Ridge and Waihe’e Valley Trails, respectively. 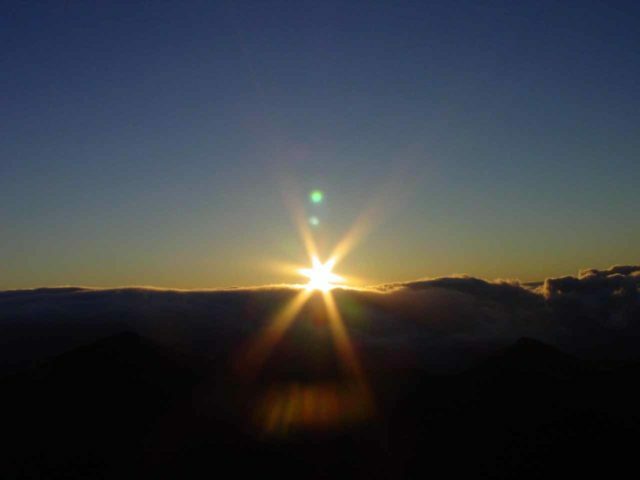 We started off this day with our second attempt at seeing the Haleakala Sunrise. This time, clouds rolled in at the very last minute. 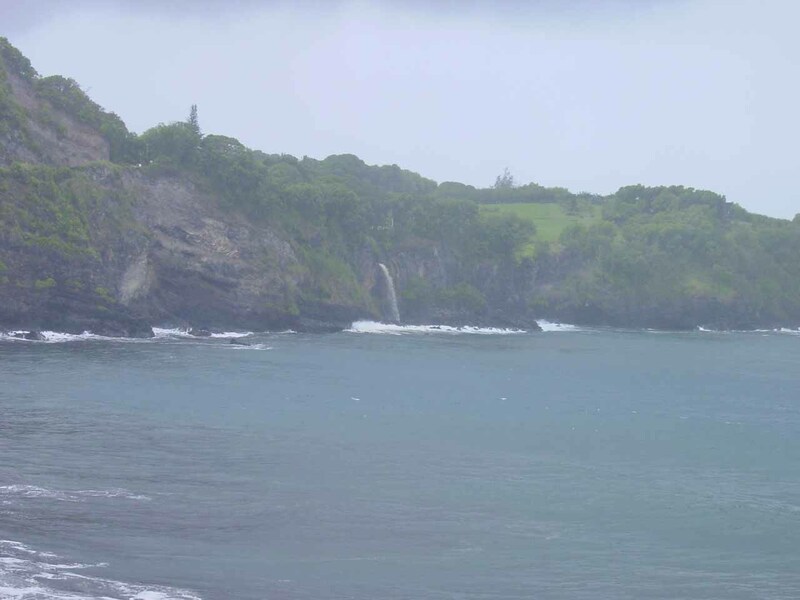 So we then promptly went back down to the Road to Hana to do this drive again now that we had gone at least a day without rain. 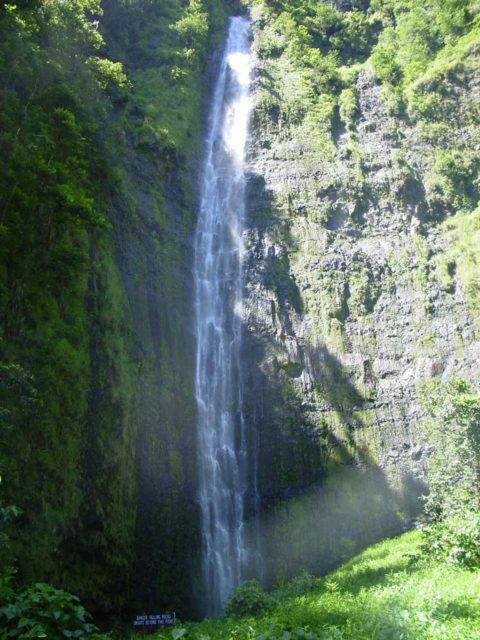 And on this day, we visited Lower Puohokamoa Falls, Waikani Falls, Upper Waikani Falls, Helele’ike’oha Falls, Lower Pools of ‘Ohe’o, Makahiku Falls, Waimoku Falls, Alelele Falls, and other waterfalls both on the Hana Highway and the Pipiwai Trail. 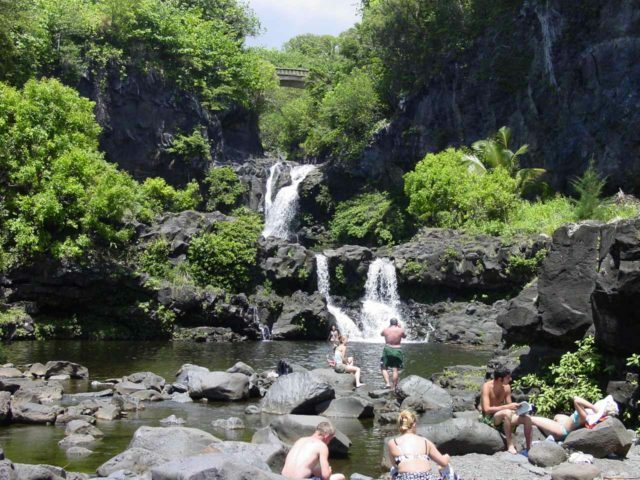 This day was more of an easier day as we walked around Lahaina Town and even booked a helicopter tour on the spot. 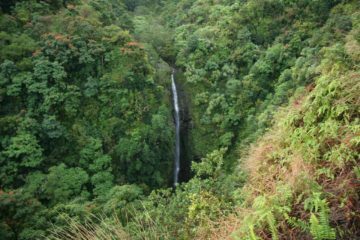 That tour took us over West Maui and Moloka’i and we saw Moa’ula Falls, Hipuapua Falls, Papalaua Falls, and even Honokohau Falls. Finally, we spent some time checking out South Maui before returning to Lahaina. 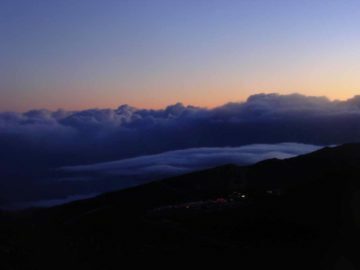 We did yet another early wake-up where we checked out early, then drove back up to the Haleakala Summit for the third time on this trip. 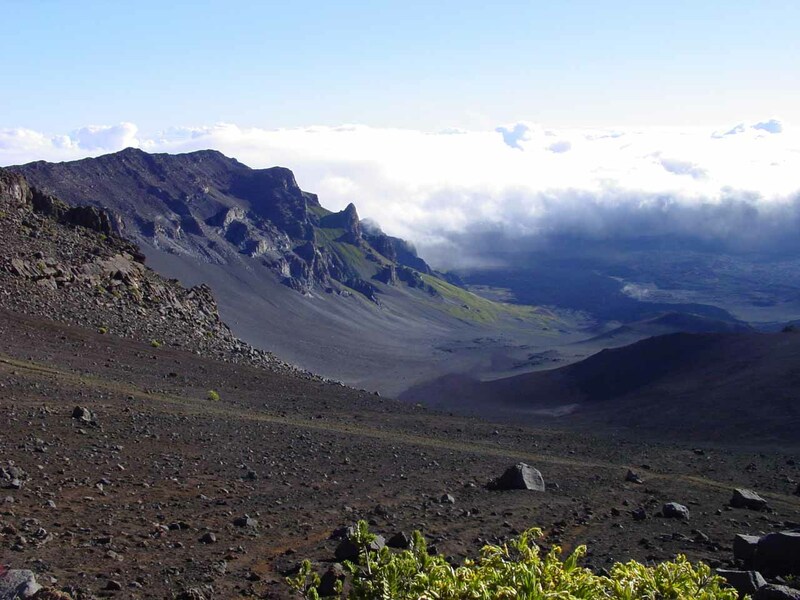 We eventually got to see the sunrise, then we hiked part of the Sliding Sands Trail to at least the Pu’u O’o Vent. Finally, as we were getting close to our flight, we returned to the car and patiently drove down the road (mostly waiting for bicyclists going down the mountain on the same road as motorists) before catching our flight home.